When St. Louis Rams owner Stan Kroenke announced plans, approved by the Inglewood City Council last night, for an 80,000-seat, NFL-worthy stadium and entertainment district in Inglewood (to complement a $2 billion mixed-use development already in the works), an unusual thing happened: Everybody was psyched. No apoplectic tirades about parking, no campaigns against gentrification or corporate blandification, no cynical been-there, done-that shrugs. 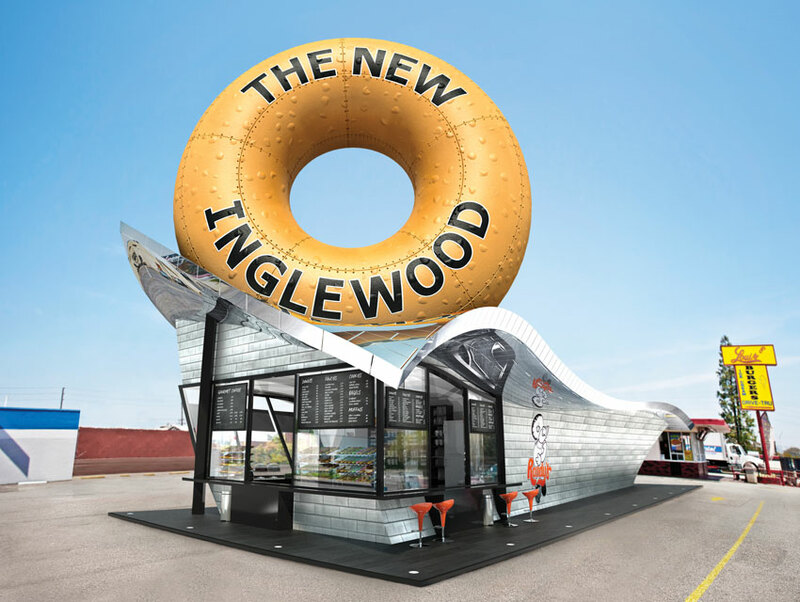 The goodwill toward the city a few miles east of LAX is so palpable, readers of the real estate Web site CurbedLA voted Inglewood “Neighborhood of the Year” in 2014, beating out Los Feliz, Koreatown, and South Park—the last being the rival stadium destination downtown. Kroenke’s enterprisingly named City of Champions Revitalization Initiative lends a preliminary air of victory to the project. In January 2014, the billionaire purchased a 60-acre parcel of land near Hollywood Park, the recently shuttered horse racing track built in the 1930s by film executive Jack Warner. The property adjoins a 298-acre parcel that’s being transformed into housing, retail stores, office space, hotels, and a casino. The purchase comes a year after the neighboring Fabulous Forum was tastefully renovated. Now a successful concert venue again, the former home of the Lakers and the Kings didn’t die after all when those teams moved to Staples Center in 1999. Incorporated in 1908, the area is squarely working class, with a population that’s 44 percent African American and 51 percent Latino. According to the U.S. Census, the median household income hovers around $43,000 and the average home price is $328,000—a steal compared with nearby Culver City, whose average home price is $610,000.